The Gordini Tactic Gauntlet Gloves are made with Silk Insulation and tough exterior so you can ski in the chilliest of temperatures but still remain comfortable, warm and dry. The 3 Layer Thermal Ply fabric is waterproof and windproof so those wintry conditions will never meet your fingers. It's also breathable so that the moisture on the inside has the chance to evaporate so that your hands remain dry. InSilk Insulation is a hypoallergenic, all-natural and renewable resource that offers lots of breathability that keeps you at an optimal temperature. 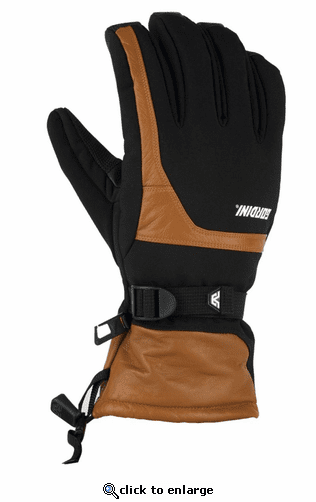 If it's cold out then your hands will be warm but when the temps start to rise and the sun's shining on those spring ski sessions, the insulation will actually help keep your hands cool so you aren't overheating. You'll have touch-screen capabilities so that you can send out a tweet, answer an email or make a call without exposing your hands to the cold. Dura-Grip Wrap Caps and palm and thumb reinforcement ensure that the durability of these gloves are never compromised. Designed to give you unprecedented warmth and comfort, the Gordini Tactic Gauntlet Gloves are perfect for a variety of ski conditions and making sure you're always performing at your peak. 3 layer thermal ply waterproof, windproof, breathable fabric with goatskin trim. Dura-grip palm and thumb reinforcement, with goatskin fingers and dura-grip wrap caps. 200g silk insulation with Hydrowick microdenier lining, and ultra breathable, waterproof, windproof Aquabloc® insert. 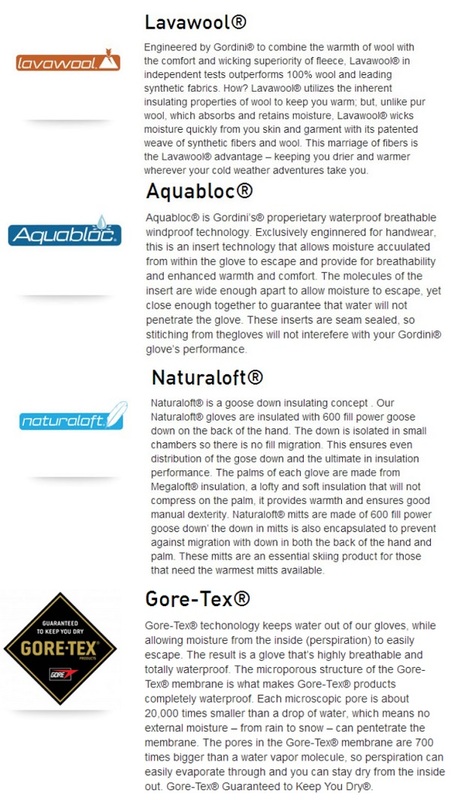 Aquabloc®, InSilk™, touch screen capable, gauntlet cinch closure, wrap caps, nose wipe, palm and thumb reinforcement.